I couldn’t get through Nursing School without my faith. The past year and a half of Nursing School have seen some of the most stressful, difficult, and often discouraging days of my life. (Fellow Nursing Students, can I get an Amen?) However, God’s good grace has eased days with even the worst anxiety. Also, while working on the weekend as an LPN, some days are incredibly busy and stressful and it’s my faith that sees me through those days. Sometimes I just have to take a minute to pray for guidance and before every single shift, I beg to be the kind of nurse that glorifies our Lord. I decided to scour my Bible for some Scripture for nurses that correlate with different specialties, and thought I’d share some Bible Verses that have gotten me through Nursing School. This list is far from all inclusive, but I hope it’s helpful just the same! You won’t see this recommended by the American Heart Association, but for a healthy heart, start with speaking kind words. Guard your heart. Do not give it away blindly; surround yourself with positive people; and do not allow disappointment to blacken your heart. And protect your heart- prevent a heart attack by eating a healthy diet and exercising regularly! Medicine is truly amazing, people receive heart transplants all the time, but these hearts are pre-owned. Only The Lord can remove a Heart of Stone and replace it with a New Heart. Sinners who have been saved by the Grace of God, know there is no fear in death. They’re just trading this old body in for a new body in Heaven. The Bible teaches us how to treat elders. It directs us to treat them as if they are our Mothers and Fathers. Pretty clear instructions, if you ask me. In this Psalm, David is begging to not be forgotten when he grows old. I think this could also be a silent prayer from elderly patients. Never forget that each and every baby you care for has their whole life ahead of them and The Lord already has a plan for that little soul in your arms. The greatest thing about OB is that you get to witness the miracle of life, a whole human being is created and formed and given life by the same God who maketh all! Is that not incredible? We can apply a cast or a brace to stabilize a fracture, but it’s God Almighty that makes crooked things straight. Want strong bones? Trade in your broken spirit for a merry heart! Note to Self: Remember this Scripture the next time it is nearly impossible to swab a kid’s throat for strep. Children are a gift and a reward from Him. Not some things, or a few things, but ALL things through Christ. In Nursing School (or any School), it is so easy to feel like your best isn’t enough. This is my favorite verse to lean on when I feel self-disappointment creeping up on me. Don’t be afraid, because the Lord will go with you wherever you go. This includes clinicals and exams. Through Nursing School, my Bible is as essential as any textbook. Unfortunately though, just like with my textbooks, I’m guilty of not studying it as often as I should. I pray these words encourage you and revive you on your next shift, next exam, and in the very instant you read this. What Scripture gets you through a tough day? 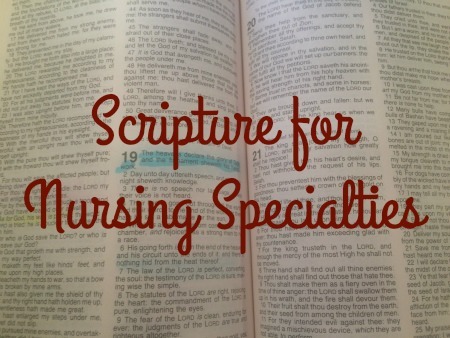 Do you have any Bible Verses for Nursing Specialties that I should add? This post may contain affiliate links, which means that if you click on one of the product links, I may receive a small commission. But I’ll always give you honest reviews on products that I’ve tried. Pinky swear. I canceled our Honeymoon for Nursing School. I was accepted into my Nursing Program in the middle of my engagement to Drew. At the time, we had an amazing Honeymoon planned to Virginia Beach (where we met as babies!) and Colonial Williamsburg, where we would spend the week. However, when I got that acceptance letter, listing the date of our orientation as 3 days after our Wedding, I knew our incredible Honeymoon would have to go on the back burner to school. And Drew was not only okay with that, but 100% supportive of that decision. Marriage sometimes means give and take, and Drew is familiar with the demands of school because he is a student, too. My husband will earn his Doctorate in Physical Therapy this August. As long as we’ve been married, we’ve both been students. The two biggest roles in my life, are that of Wife and Nursing Student. It’s definitely challenging, but in the end, I know it will be in our benefit. And I wouldn’t change being married young for anything in this world. I know there are many other young married couples in the same situation that Drew and I are in, so I wanted to share some of my advice for how we make it work. 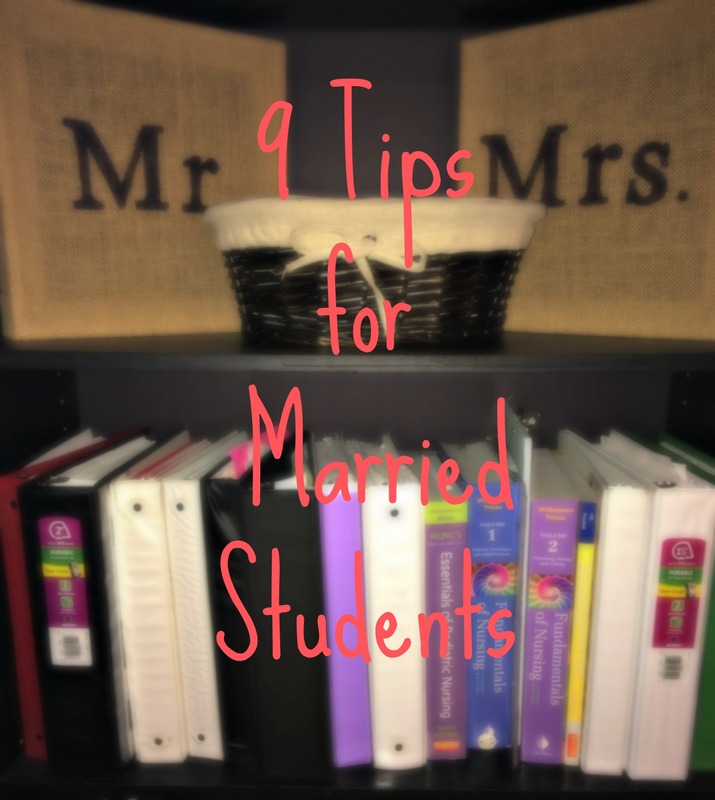 These tips aren’t exclusive to just married couples, but also work for anyone that’s in a relationship and a student at the same time. Set priorities. My life in order of priority is this: 1-God, 2-Drew, 3-School. If this weren’t the case, I would go insane! Your spouse should be your first priority, second only to The Lord. I’ve found that this strengthens our relationship both with one another AND with Christ. But when you’re both students, that means school comes next. This means that school comes before catching up on Grey’s Anatomy BUT after having dinner with my husband. This approach ensures that my schoolwork is done, but I also get the quality time I desire with Drew. Study together. It’s definitely not the most glamorous date nights, but they are essential to success when you’re married and in school. Some of my favorite evenings are spent with me on one end of the table, Drew on the other and textbooks and Pretzel in between us. It’s no fun studying, but the couple that studies together, stays together. If you’re gonna do something you hate, doing it with your best friend makes it a little more tolerable. Become friends with your spouse’s classmates. When you’re in school, you see your classmates more than you see anyone else, they become a family to you. So it’s important (and really fun) to become friend’s with your spouse’s classmates. Drew knows all of my classmates by name, knows what they’re doing this weekend, and wants the best for them. The same goes for me with Drew’s classmates. A lot of them call me Momma Cass and text me even before they text Drew. Classmates are extended family, and I love that Drew and I are each close to one another’s. I may be able to understand that Drew is busy in school, but I will never be able to empathize with him like his classmates that are doing the exact same thing as him. Knowing and loving the people that help support him makes my heart a little happier. Make a plan to accomplish responsibilities. When we got married, we knew that at least one of us would have to get a job in order to provide for ourselves. Because Drew is in a doctorate program, his level of work and expectations are greater than mine, so we made the decision together that I would work while we’re both in school. However, that doesn’t mean Drew gets out of responsibilities. Because I work, Drew does almost all of the cooking in our house. (He’s an amazing cook, so I’m totally fine with that!) He’s also really great about doing the dishes and cleaning the kitchen. Typically I’m in charge of laundry and straightening up the house. When we first got married, I had a really hard time relinquishing responsibilities around the house. However, I learned that life was easier for the both of us when we split up chores and errands. Having a plan makes life smoother for both of us. Teamwork makes the dream work! Be patient with one another. Understanding is so essential to a relationship. Sometimes with school and work, life can get stressful and that means we can get grumpy. In those moments, when I’m fussy and hateful, Drew is so patient with me and is slow to fire back. When Drew is stressed with school and becomes overwhelmed, I try to be understanding rather than demanding. School requires so much from us, without the pressure of everything else going on. Being patient and kind toward your spouse in times of stress makes them feel loved, rather than like they have another thing to add to their to-do list. Have date nights. As regularly and frequently as possible. Drew and I typically do something each week, even if it’s just Chinese take out on the couch with Netflix. It’s essential to take time out of your schedule to focus on your relationship. I always feel recharged and reconnected after our date nights. If I have my nose in a book for too long, I forget to look up and appreciate the things I love most. Be flexible. If you’re a student, you know how quickly things can change. Due dates are often pushed up or moved back. An assignment you thought would take 30 minutes takes a couple hours. Your exam is the next morning and turns out you’re not as prepared as you thought you were. Yeah, we’ve all been there! When this happens to your spouse, be flexible! If you can help with a project, lend a hand. If your spouse loves to study with flashcards, quiz them! Help out a little extra around the house. If you had Date Night planned, reschedule for another day. Flexibility is key to making sure everything gets done, with as few hiccups as possible. Keep your eye on the prize! Juggling marriage, work, and school all at once is one of the most challenging things I’ve ever done! The only way I can keep up the motivation to accomplish everything is by remembering why I’m doing all of these things. I know that once this season of being married students is over, we’ll both have incredible careers that we’ll love. Although it may be hard now, it will pay off in the long run. You can’t look at the here and now and see the struggle, instead look to the future and see your goals accomplished. At the end of the day, our marriage isn’t perfect, but Drew and I both work incredibly hard, both at school and in our relationship, to be the best we can be. If you give your best in everything you do, it will pay off in the end. This season of marriage while we’re both in school definitely isn’t easy, but I wouldn’t trade the late nights studying, Chinese and Netflix, and dinners with classmates for anything in this world. What advice would you add to this list? Do you and your spouse study together? Welcome to my little corner of the Internet! 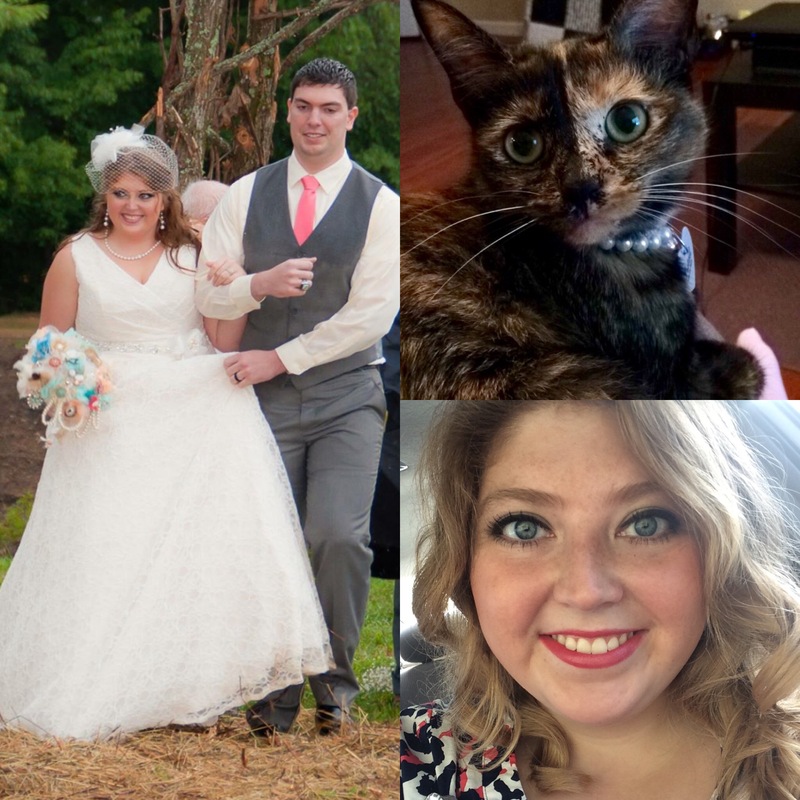 I’m a sinner saved by grace, wife to Drew, and sidekick to Pretzel. I’m working as an LPN while in school to earn my RN. Graduation is in May and I couldn’t be more excited and terrified at the same time. My dream is to become a Certified Nurse Midwife, I can’t imagine a greater blessing than to welcome life into this world every single day. 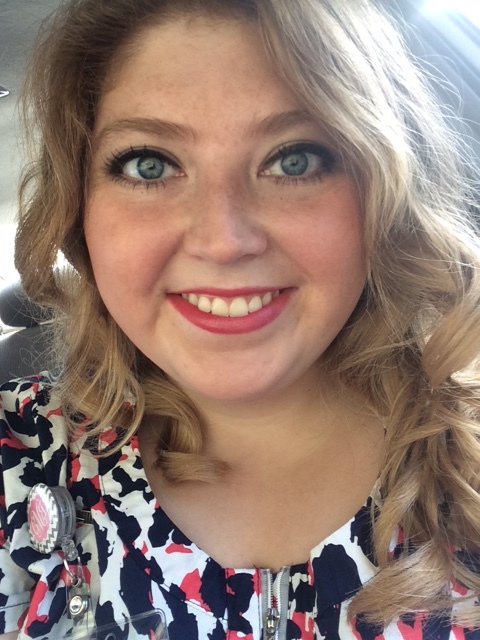 Before I began my journey into nursing, I was on a journey to become a Physician Assistant. However, the Good Lord stepped in and showed me my true calling. Since I’ve decided to become a nurse, I’ve fallen in love with the profession, and know beyond a shadow of a doubt that nursing is where my heart is. When I’m not studying or working, I love to spend time with my family. We’re incredibly tight knit. I also love to craft, decorate my little apartment, and tell stories. This blog is the story of my adventure. A landing strip for the thoughts that fly around in my head. I hope to inspire you, make you laugh, and dare you to dream a little bigger. Stick around, let’s learn something together.